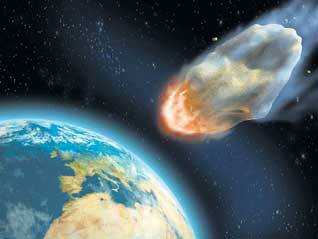 Meteorite impacts can produce more than craters on Earth. They can also spark volcanic activity that shapes its surface and climate by bringing up material from depth. That is the headline finding of an international team, led by geochemists from Trinity College Dublin, Ireland who discovered that large impacts can be followed by intense, long-lived, and explosive volcanic eruptions. Professor of Geology and Mineralogy at Trinity, Balz Kamber, said: "The reason for the excitement is that the effect of large impacts on the early Earth could be more serious than previously considered."